UK think-tank and Canadian radio station team up to launch ‘Arctic music and policy’ radio show. 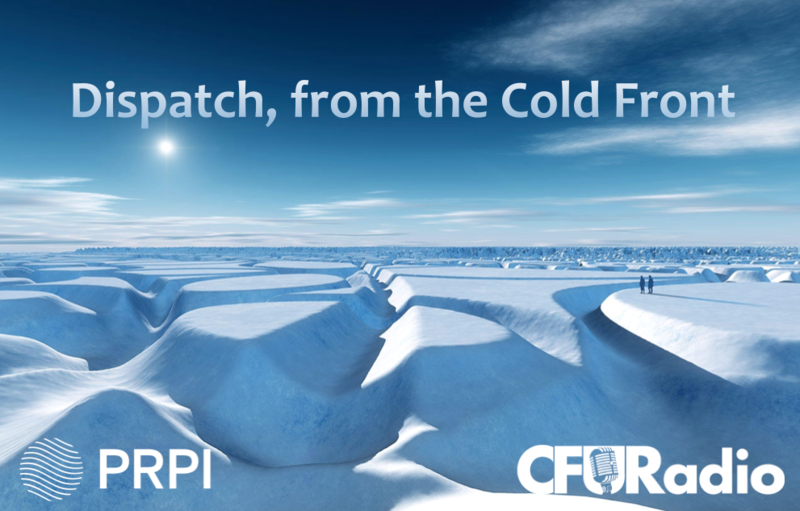 Polar Research and Policy Initiative announces new radio show ‘Dispatch, from the Cold Front’ to mark first anniversary. The announcement comes as PRPI marks its first anniversary since it was founded in February 2016. Dispatch, from the Cold Front will consist of Northern music from across all eight Arctic states interspersed with policy news from Arctic institutions and governments. The show will be hosted by Alycia Mutual, Fellow in the Arts, Culture and Heritage Unit at PRPI and initially comprise two hour-long broadcasts per month. The Arctic region spans thousands of kilometres. Due to its extensive size, diversity and remoteness, connecting with Northerners across the Arctic can pose a challenge for organisations and media outlets working in the region. At the grassroots level, one of the ways that Northerners identify with their community and stay up to date with local and global current events is through radio. In this sense, organisations working in the Arctic can use radio as a means to build relationships with Northern communities.